Our financial system is becoming more and more ‘plastic’ and ‘virtual’. Fast, smooth and safe. Or, is it? Fast and smooth, right. But safe? How safe is your bank or credit card when you pay in a shop or at a counter, or just walk around in town? With the RFID in your ID cards and credit cards anyone with a wireless reader can copy your data without you even noticing it. Although this can only happen when thieves get really close to you, according to the department of Digital Security at the Radboud University in Nijmegen (the Netherlands), it just takes a moment of distraction to skim it. The leather exterior has either a vintage or a fashionable look. 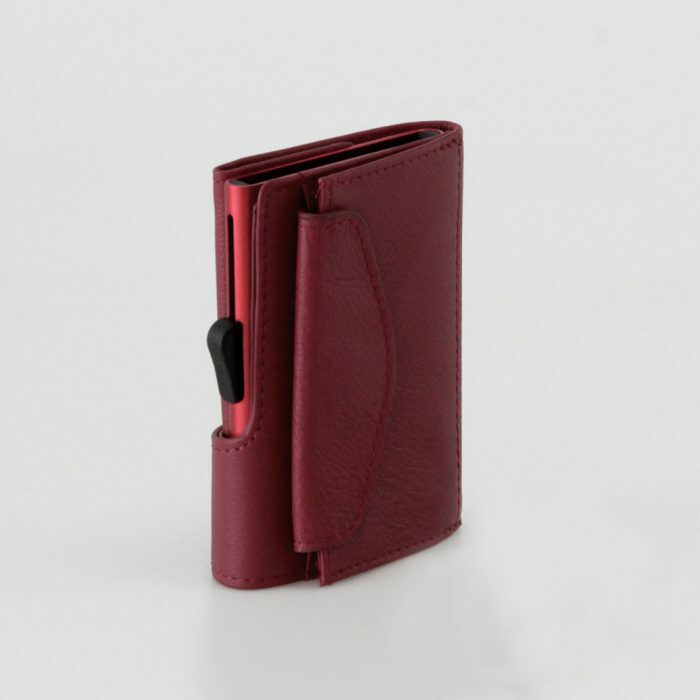 There are many colours to choose from, so there is a cardholder for everyone. The cardholder with RFID protection has a 2-years warranty and every single item is 100% checked for quality before it is being packaged. The cardholder comes in a gift box and a manual on how to use it. 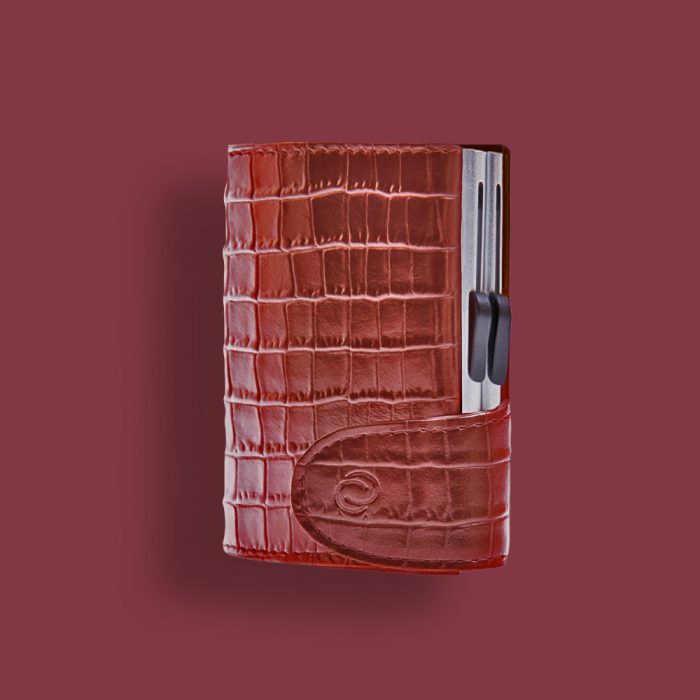 The cardholder with RFID protection is also well fit as a gift for business relations. When working with international B2B companies C-secure can put a logo on the exterior. Companies like Heineken, DAF, Robeco groep, SSB, UBS Bank, Tissot, Sauber formula one, Singapore Airlines, Booking.com have been using this option. What we need today is a wallet or card holder that is RFID safe. RFID stands for Radio Frequency Identification. The wireless reader that steals your data, can read through any fabric or leather. There is no way of stopping the radio waves, unless of course, you protect your cards. This is where C-secure comes in. 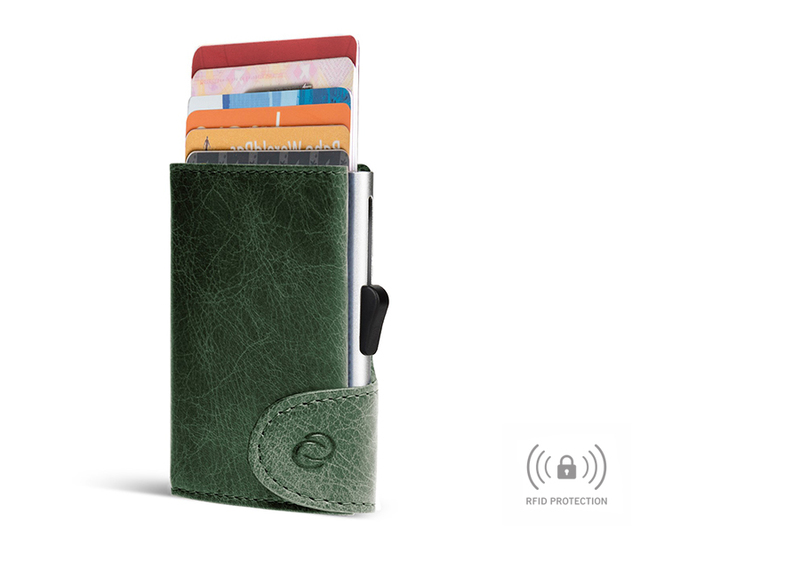 C-secure is the perfect solution when you are looking for a card holder with RFID protection. 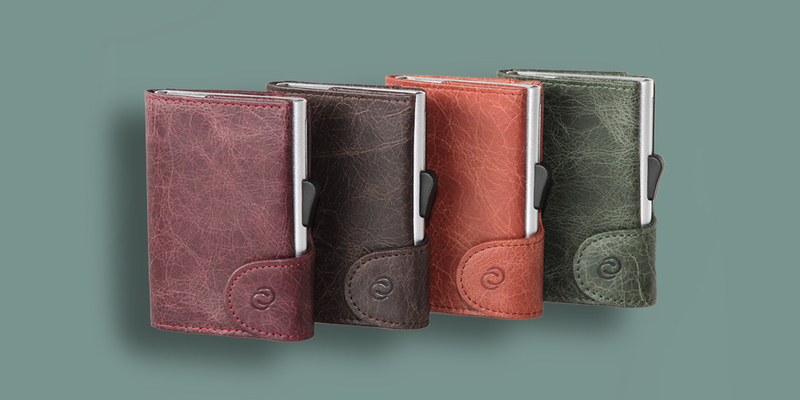 The cardholders of C-secure are made of soft leather from Italy, with the inside of aluminium where the cards are put. Aluminium protects your cards by blocking the radio waves. Only when you let a card slide out, your data are readable. The system is very easy, fit for people of all ages. The cardholder of C-secure is designed and developed in 2013 in the Netherlands. The leather exterior is Italian, of high quality and processed under good working conditions with good care of the environment. The aluminium interior is a patented sliding mechanism and can hold 4 to 7 cards. The double wallet can hold up to 14 cards. Besides cards, it can also hold bills and some coins. It is sold worldwide on international trade fairs, airports, in bookshops, leather- and luxury goods shops, gift shops and so on.